After studying at the University for Music and Performing Arts, the Opera Program at the Conservatory in Vienna and with Ruthilde Boesch, Ute Ziemer furthered her studies with Ariel Bybee, New York and Masterclasses with Walter Berry and William Matteuzzi. In 2003 she met Dame Elisabeth Schwarzkopf who taught her privately for the last three years until her death. They worked on a diverse concert repertoire including works by Franz Schubert, Richard Strauss, Hugo Wolf as well as J.S. Bach. Ms. Ziemer has performed Adele in DIE FLEDERMAUS in the Schloßtheater Schönbrunn in Vienna, also in such operas as Beethoven´s FIDELIO (Marzelline), Mozart´s DIE ZAUBERFLÖTE (Pamina), LE NOZZE DI FIGARO (Susanna) and COSÌ FAN TUTTE (Despina). 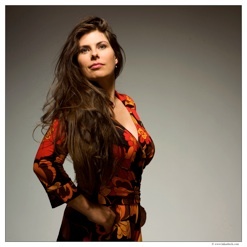 She has appeared with contemporary music, including the World Premier of Roman Polanskis DANCE OF THE VAMPIRES in Vienna and Enjott Schneiders VERTEILEN in 2015, in operettas and many concert recitals, highlighted by concerts alongside Jerry Hadley making her US debut in 2004. She is a regular guest in world-renowned concert halls, including Vienna’s Musikverein and Konzerthaus, Munich’s Philharmonie, Leipzig’s Gewandhaus, Kongreß Zürich and has toured throughout France, Spain and Hong Kong. The „exceptional singer“ (Süddeutsche Zeitung) singing with „ausgefeilter technique“ (Die Welt) showed her flexibility in oratories, operettas and world premiers, Michael Mautners opera „Dantes Inferno“ was broadcast by ORF. 2004 1st prize at the Belcanto Festival Bad Wildbad for Amina’s “mad scene” from Bellini’s LA SONNAMBULA. 2007 she received the Erich-Schenk-Award by the Mozart Society Vienna. In July 2007 Ms. Ziemer was invited to sing in the Elisabeth Schwarzkopf Memorial Concert at Wigmore Hall London, in November 2007 her CD „Songs by Mozart and Schubert“ with Viennese Pianist Barbara Moser was released on the Gramola label to be followed by „Christmas Songs by classical Composers“ in 2012 and „Meinem Kinde“ in 2015 with Munich pianist Julian Riem. 2009 Roger Vignoles invited her to replace Anne Schwanewilms to sing the Opening Recital „SommerLiedWeinberg“. She recorded “Voices of spring “ and toured Germany, Benelux and Spain. In 2010 she joined the cast of STAATSTHEATER MEININGEN for Agathe in FREISCHÜTZ, Rossinis MOSÈ IN EGITTO and Baroness in WILDSCHÜTZ.